I've added a hairless version for choice this time. Mage part 10 will be coming next, it'll be the final chapter of the Mage story. Thank you all for your patients, and continuous supports. 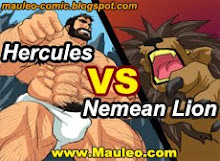 Please go to www.mauleo.com for the comics. 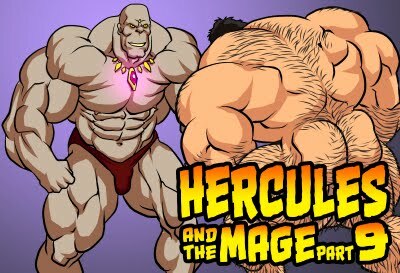 The worst part of the Hercules ... You wrote me Hercules will be defeated by a mage in Part 9. Hercules survived and is on its way to defeat mage. You lied to me for more money from the purchase. I began to draw an alternate ending of Hercules because you're not able to create a new idea. The same text in comics as in previous and on others prefer not to mention. Unnecessary waiting four months for Part 9. Very disappointing. You're right, I totally agreed with you. Send me an e-mail if you would like a refund via Paypal. I am very sorry for you trouble. Wow!!! I thought it was the best chapter yet!!! Why don't you do a free version of these stories for those who cannot afford to send money to you like myself and put all them in a free PDF file? It is very tiring for me look through all the Internet for something I can worrilessly download. By the way, draw more stories of him HAIRLESS. I love it. Thank you for listening to me. I would love to distribute my works for free if I don't need to earn currencies for living. Unfortunately, with only a handful of people supporting my works, it is unlikely for this to become true yet. Maybe you should ask yourself what you can contribute, before asking for what you can gain.